Gordon Brown has revealed his renowned talks with Tony Blair at a north London restaurant were a "formality" and not a pivotal meeting, as has long been believed. In what became known as the "Granita pact", the pair forged an agreement in 1994 for Mr Brown to not run for the Labour leadership. 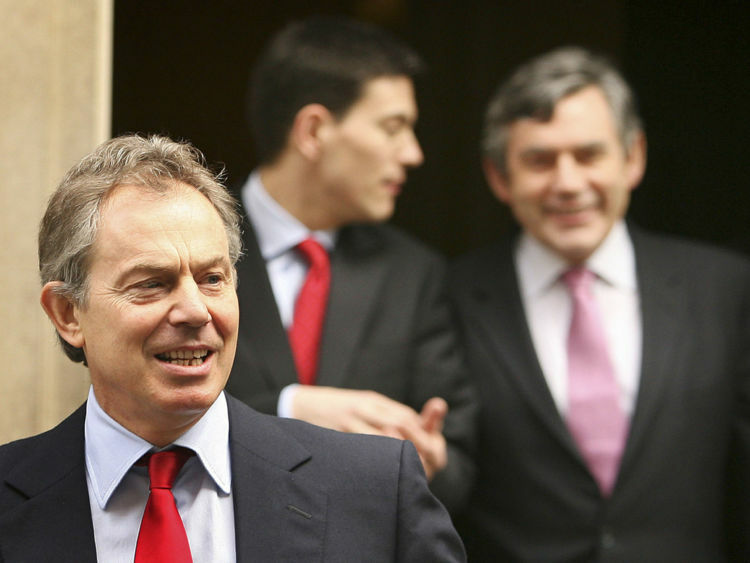 In exchange, Mr Blair is claimed to have vowed to hand over the reins of power to Mr Brown in his second term as prime minister, as well as granting his chancellor control of economic and social policy.The apparent breakdown of the agreement was an infamous focus of the strain between the two men during their time at the head of the New Labour government.But, despite the widely-held view the talks at the now-defunct Granita restaurant in Islington were pivotal to the Blair-Brown deal, Mr Brown has now insisted the details had already been agreed.In his new book My Life, Our Times, to be released on Tuesday, Mr Brown writes: "I always smile when commentators write that we hammered out a deal in the restaurant. "The Granita discussion merely confirmed what he had already offered and I had already agreed. "The only new point was Tony's overture that he wanted to show that, unlike the Tories under Mrs Thatcher, Labour was not a one-person band but a partnership. "As we walked out of the restaurant towards his home, he emphasised the word 'partnership' again and again, telling me it represented a new departure for British politics." Describing the terms of the agreement, Mr Brown adds: "I would accept his assurances. He would give me control of economic and social policy and would stand down during a second term. "Unwilling to see the party divided in a way that would endanger the prospects for reform, in the days leading up to May 30 I informed those closest to me of my intention not to stand. "The rest was a formality. On May 31, I sat down again with Tony near his home in London, at a restaurant called Granita. "Mr Brown did eventually succeed Mr Blair as prime minister, but not until mid-way through the latter's third term in 2007.The two men's time in government together was marked by furious rows between Mr Brown's Treasury and Mr Blair's team in Downing Street.And Mr Brown suggests his relationship with Mr Blair began to break down almost immediately after the Granita meeting. "When I offered to chair Tony's leadership campaign, he demurred," he writes. "And while I helped write his leadership speeches, I was frozen out of the campaign. "Long into the future, the focus of the 1994 leadership race would wrongly remain on what was said at Granita. "The restaurant did not survive and ultimately neither did our agreement."